LA PLATA, Md. (December 05, 2018)—The Charles County Sheriff's Office today released the following incident and arrest reports. FATAL MOTOR VEHICLE CRASH ON POPLAR HILL ROAD: On December 2, at 12:51 p.m., officers responded to the area of Poplar Hill Road near Bell Flower Place in Waldorf for the report of a crash. A preliminary investigation revealed the driver of a Mercury Mountaineer, operated by a 66-year-old male, was northbound on Poplar Hill Road when the vehicles in front of him began to brake. The driver applied brakes but started to slide and swerved left, striking a motorcycle that was southbound on Poplar Hill Road. The driver of the motorcycle, Thomas Jaycox, 50, of Waldorf was pronounced deceased on the scene. The driver of the SUV was treated for injuries that were not life-threatening. The crash is being investigated by members of the Charles County Sheriff's Office Traffic Operations Unit who will review their findings with the Charles County State's Attorney's Office. 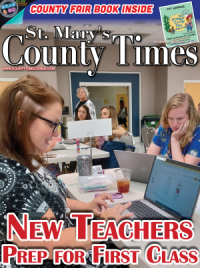 DISTRIBUTION OF PROPAGANDA: Since November 11, the Charles County Sheriff's Office has received reports from people who have found fliers containing propaganda from the Ku Klux Klan. The fliers, which appear to have been distributed in a random manner, were inside plastic bags and found along the roadway and in driveways in front of people's homes. To date, fliers have been found in Waldorf and La Plata. Similar fliers were also found in Calvert, St. Mary's, and Anne Arundel counties as well as in Northern Virginia and Western Maryland. Investigators assigned to the agency's Homeland Security and Intelligence Unit are working with other law enforcement agencies who have experienced similar situations. The Sheriff's Office is asking anyone with information to call (301) 932-2222. DEATH INVESTIGATION AT CCDC: On November 16 at 12:10 a.m., Correctional Officers at the Charles County Detention Center were conducting routine security checks when they discovered a 35-year-old male, who was alone in his cell, hanging from a bedsheet. The officers took immediate life-saving actions to include CPR and the activation of an automated external defibrillator. EMS responded and the man was transported to the University of Maryland Charles Regional Medical Center where he was pronounced deceased. In accordance with agency policy, detectives assigned to the Criminal Investigations Division and the Office of Professional Responsibility responded. A preliminary investigation revealed the man was arrested in Charles County on November 11 for being a fugitive from justice stemming from a felony malicious domestic-related assault that occurred in Essex, Virginia. On November 13, the man was seen by a district court judge who issued a $1,000 bond and afforded him the opportunity to be released after paying 10 percent of that bond, which he did not post. He was medically evaluated prior to being placed into a cell and there were no apparent signs of physical or mental distress. The Office of the Chief Medical Examiner in Baltimore will perform an autopsy. The investigation is continuing. MISSING MAN LOCATED DECEASED: On November 15, a vehicle operated by Walter Junior Carroll, II, 36, of Nanjemoy, was found abandoned on Poseytown Road in Nanjemoy. When he didn't return home, his family contacted police to file a missing person report. 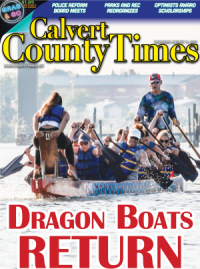 Several search and rescue teams, including canines and the CCSO's drones, were deployed to assist. On November 17, members of the Charles County Sheriff's Office located Carroll deceased in a creek. The Charles County Dive Rescue team recovered his body. There were no obvious signs of foul play. His body was sent to the office of the Chief Medical Examiner in Baltimore where an autopsy will be performed. Det. J. Elliott is investigating. MOTOR VEHICLE CRASH / SUSPECT CHARGED WITH ILLEGAL POSSESSION OF HANDGUN: On November 20 at 12:01 a.m., a Charles County Sheriff's officer was conducting radar in the area of Crain Highway and Smallwood Drive when the driver of a Camaro drove through a 45mph speed zone at 67mph. The officer activated his emergency lights and the driver sped off, heading north on Crain Highway. The driver of the Camaro failed to stop at a red light at Crain Highway and Plaza Drive and struck a Ford Taurus; the Camaro became disabled. Officers observed the driver open the car door and throw a gun out onto the street. Officers subsequently apprehended the driver and recovered the gun as well as a single bullet from his pocket. The occupants of the Taurus were flown to a hospital with serious injuries that do not appear to be life-threatening. The driver of the Camaro was injured during the crash and was treated at a local hospital before being transported to the Charles County Detention Center. He is being held with no bond. 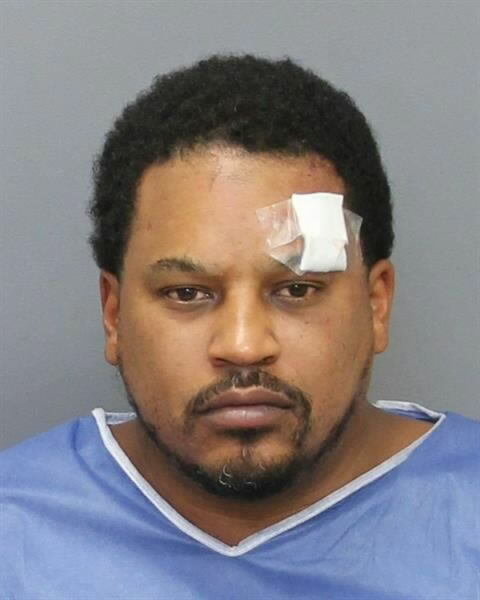 A check revealed the driver, Dicarlo Frederick Dickerson, 42, of White Plains, was prohibited from possessing firearms and ammunition due to previous criminal convictions. According to Maryland Judiciary Case Search, Dickerson has been convicted of, or found guilty of, multiple criminal and traffic offenses including: five drunk or drugged driving offenses, first-degree assault, and felony drug charges. In this case, Dickerson was charged with firearm possession with felony conviction, possession of a regulated firearm, carrying a loaded handgun in a vehicle, carrying a loaded handgun, illegal possession of ammunition and other related charges. The investigation is ongoing. CHILD STRUCK BY VEHICLE: On November 27 at 3:45 p.m., a Charles County Public School bus was stopped in the northbound lane of Oliver Shop Road near Trotter Road in Bryantown discharging a 7-year-old female student. According to witnesses, the bus had activated its flashing red lights and flashing stop sign. The girl safely crossed in front of the bus and was crossing the southbound lanes when she was struck by a Ford F-250 being operated by a 35-year-old woman. The driver of the truck remained on the scene and the child was flown to Children's Hospital with critical injuries. Members of the CCSO's Traffic Operations Unit responded and are investigating the crash. Charges are pending the outcome of the investigation. Initial investigation revealed that the suspect and victim, who are in a relationship, got into an argument at the hotel. 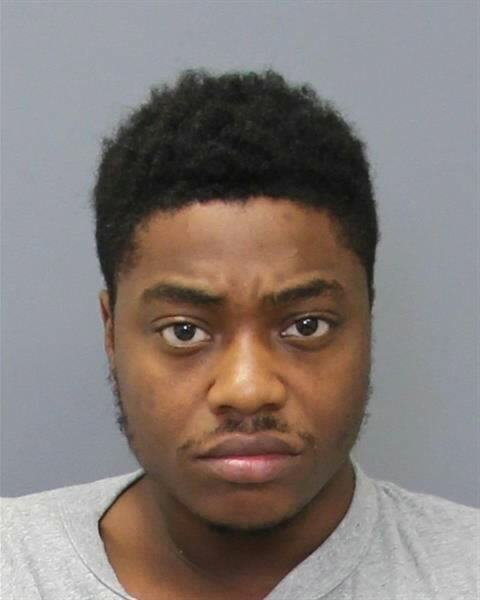 The suspect, Damonte Ramello Moton, 24, of Oxon Hill, then strangled the victim, assaulted her, stole her money and her cell phone and fled with her in the vehicle. A witness who saw the altercation at the hotel made the initial call. Moton was arrested and charged with carjacking, possession with the intent to distribute, first-degree assault, and false imprisonment. PFC B. Morrison investigated. 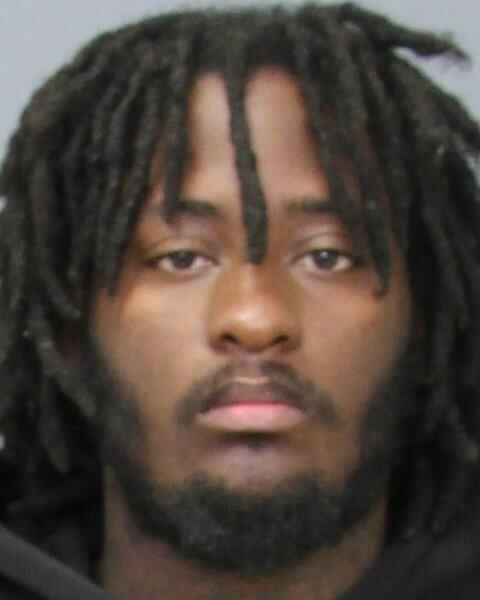 ARREST MADE IN CONNECTION WITH SHOOTING / HOMICIDE ON WILDMEADOWS STREET: Charles County Sheriff's detectives have charged Andre Raynard Hilliard Johnson, 24, of La Plata, in connection with a shooting that occurred on October 3 in Waldorf. Investigation revealed a group of people, one of which was a resident, were standing outside a house in the 11200 block of Wildmeadows Street when another group of people approached and stood nearby; people in both groups had been involved in a previous altercation. Johnson walked toward the group who had gathered in front of the house, pulled out a handgun and fired several shots. At least one person � who was standing in front of the house and who has not yet been identified by detectives � fired back towards Johnson, but struck 17-year-old Elisha Amon Cole who was standing nearby. During the course of the investigation, Johnson was identified as being one of the persons who fired a gun during this incident. He was subsequently arrested on October 19 and charged with attempted second-degree murder, first-degree assault, second-degree assault and other charges for shooting toward the people in front of the house. The investigation is ongoing and investigators are urging anyone with information to contact Det. J. Elliott at (301) 609-6515. Tipsters wishing to remain anonymous may contact Charles County Crime Solvers by calling 1-866-411-TIPS. Charles County Crime Solvers offers rewards of up to $1,000 for information that leads to the arrest or indictment of a person responsible for a crime in Charles County. Anyone with information about an unsolved crime or the location of a fugitive may contact Charles County Crime Solvers by calling 1-866-411-TIPS, texting CHARLES + the tip to CRIMES (274637) or submitting tips online at tipsubmit.com. All individuals who provide tips through Crime Solvers will remain anonymous.